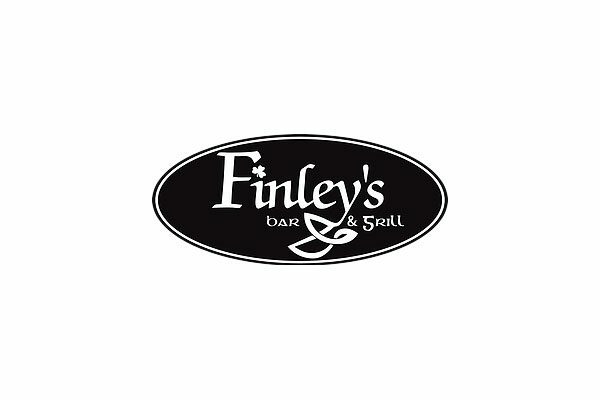 Finley’s Irish Bar & Grill is a great place to have some amazing food. We offer live entertainment, karaoke, live DJ and our kitchen is open until 2:00 am. We are the only pub that has patio with an excellent view of the lake and mountains. Start your evening at Finley’s. We look forward to seeing down at the neighbourhood pub that has been in Nelson for more than 100 years. Come Eat, Drink and have some fun. 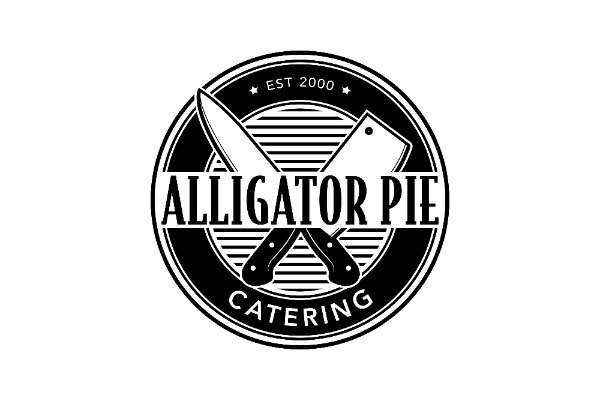 Alligator Pie Catering is an off-site catering service operating in and around the Nelson area. From elegant affair to casual get together, we are able to provide a wide range of quality gourmet cuisine to suit the customers needs at an affordable price. 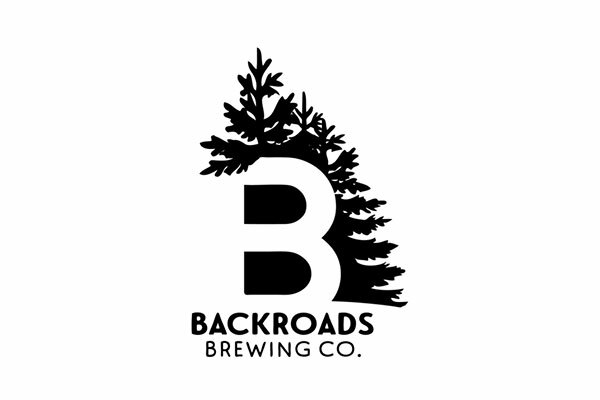 A micro-brewery and 55 seat taproom located in the heart of Nelson on Baker Street. Stop in to have a pint or grab a growler to enjoy a beer wherever you like. Nelson’s Powder Destination! Baldface Lodge offers an incredible wilderness experience on Nelson’s back doorstep! Come explore the 32,000 acre Tenure with us and have the best time of your life with our incredible staff and terrain! 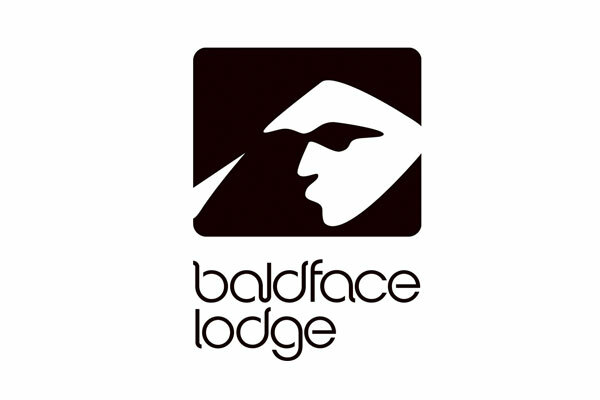 Featured internationally on TV, in Movies, and in the press, Baldface Lodge is an amazing destination for a world class shred experience. 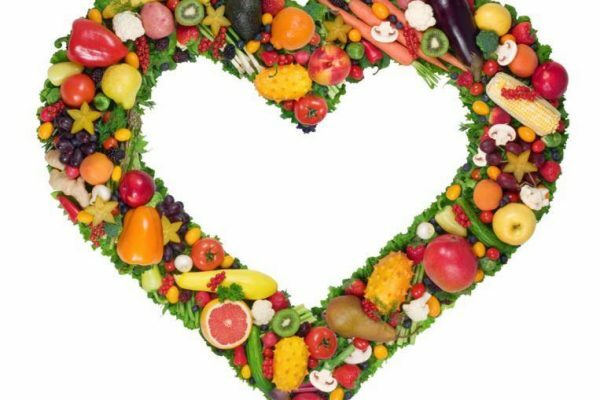 Evergreen Natural Foods-Fresh, Organic, Wholesome since 1990. 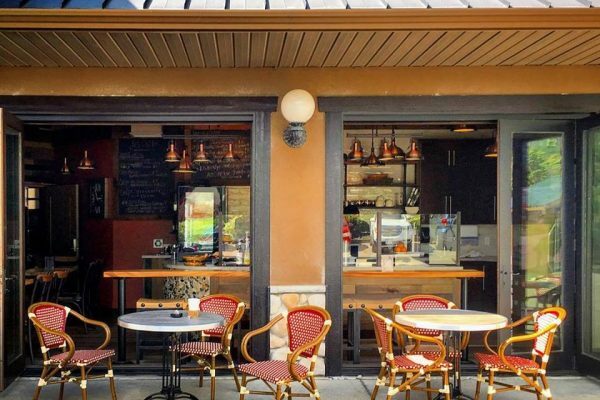 Home of: The Everbean Cafe-offering a refreshing fusion of foods and beverages from around the world. Open store hours 7 days a week. The store offers Certified Organic, gourmet and wholesome foods from local sources and from around the world, seasonal garden centre and fruit stand. In our cafe we have organic local roasted coffees, espresso, tea, and many other beverage choices made to order as well as a variety of homemade style foods fresh from our kitchen. 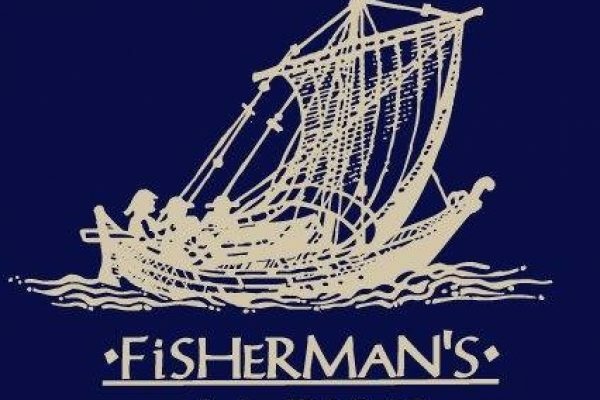 The Fisherman’s Market is BC’s number one source of premium fresh and frozen seafood. We specialize in SUSTAINABLE , WILD, and ORGANIC seafood from as close to the source as you can possibly get. We take pride in the culture we have re-established within our industry. We felt had been lost. Our crews are seafood people, our contacts are skippers not warehouses, our seafood is the result. Come and enjoy fresh pasta and pizza, all made daily in the newest restaurant in town. Enjoy palate-satisfying wine, beer and spirit selections. Open 6 days a week, closed Mondays and holidays. Reservations recommended. Downtown Nelson, 413 Hall Street, just steps away from Baker Street. 250-352-3573. Dine in, delivery, take out. Jackson’s Hole & Grill, one of Nelson’s best restaurants. 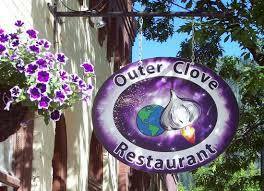 Serving a wide variety of fresh, homemade foods, you are sure to find something for everyone. 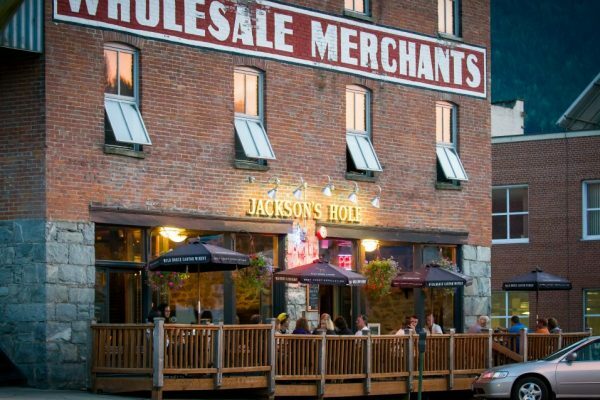 Come and enjoy Nelson’s best patio, or spend time in our turn of the century lounge or restaurant. Come and see what so many others already know! Great food, great Service, great times! 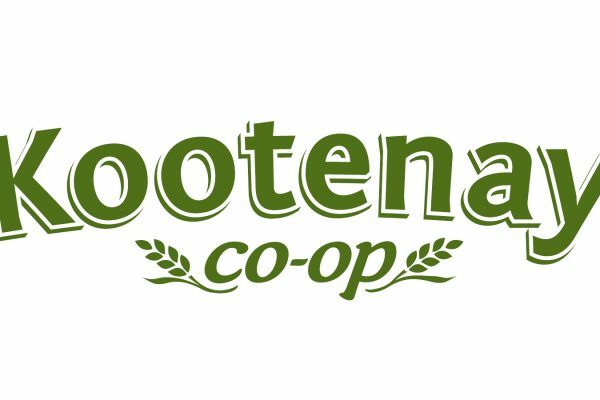 We serve our members and community and strengthen our local food system by providing the highest quality, local, sustainable, and organic products at reasonable prices, in a welcoming environment, with exemplary customer service. Sweet and savoury crêpes, delicious French pastries and small cakes, local coffee, organic tea and specialty drinks, all served in a small and quiet environment. 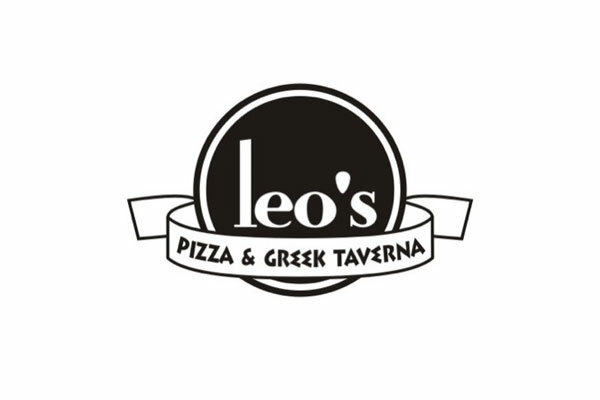 Specializing in pizza and Greek cuisine in beautiful Nelson BC for over twenty years. We use a special blend of cheeses, a slow cooked tomato sauce and fresh, hand made dough for all of our pizza. Eat in, take out or free delivery within city limits. Try our Caesar salad or our Greek special pizza loaded with spinach and feta cheese – favorites with the locals. Stay and relax with friends and family on our seasonal outdoor patio. Have your dinner delivered to your door on those busy nights you don’t have time to cook. ALWAYS SPECIAL for LUNCH & DINNER! A casual, fun atmosphere with an exciting menu for the entire family. Nelson\’s best heated outdoor patio right downtown on Baker (Main) street. 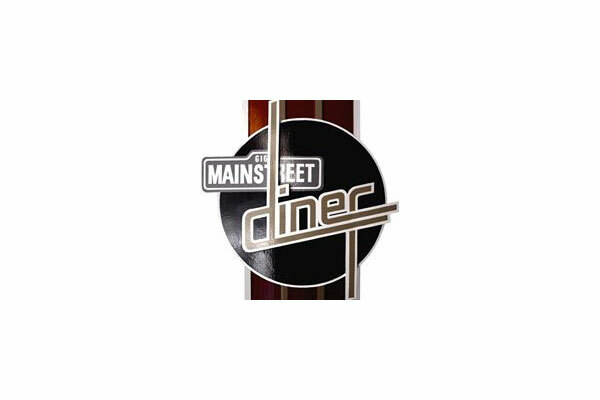 The extensive menu includes on-site- made gourmet burgers, Greek food, our original melts, aged premium steaks, Milly\’s \’World Famous\’ English-style fish and fresh hand cut chips and, of course, probably the tastiest calamari outside of Greece. Vegetarians will love the menu choices. We embarked on a trip to Naples, Italy in 2017. We enrolled in a one week course from one of the most revered, legendary pizzaiolas, Enzo Coccia, to understand the tradition and methods behind preparing the dough and working the forno. The course was rewarding and eye opening as we learned a century-old hand stretching dough techniques and simple authentic recipes. In addition to these well-guarded methods, we discovered the beauty of pure, fresh, non-GMO ingredients. The San Marzano tomato is a cornerstone ingredient that the locals take pride in as it is native only to the rich volcanic soil of the area. We were inspired by this and felt we needed to take the same care in selecting our ingredients, hence the name, Marzano as an homage to quality and authenticity. We welcome you to come check out Nelson’s new modern Italian restaurant open for breakfast, lunch and dinner 7 days a week. Freshly prepared contemporary and classic cuisine. Tasty lunch and dinner creations infused with garlic. Open 11:30am-9pm Mon-Sat and occasional Sundays. Seasonal patio. Vegetarian and gluten free options available. 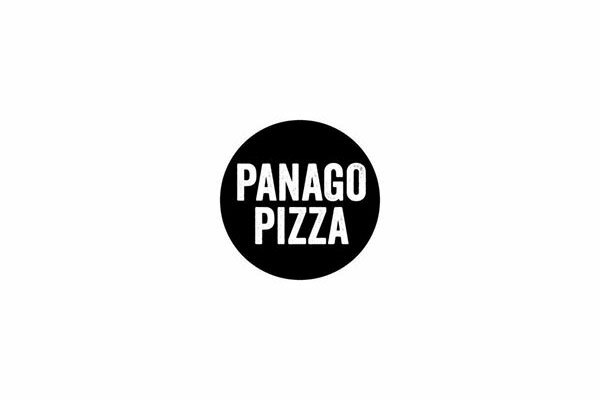 Fantastically fresh pizzas, salads, wings and breadsticks that can be picked up or delivered right to your door. All of which contain no artificial flavours, colours or MSG. We are open 7 days a week and will deliver up to 6 Mile and Taghum Shell. Enjoy casual sophistication in an urban atmosphere amid the bustle of downtown Nelson’s Baker Street. Designated Red Seal Chef Trevor Ditzel offers up modern and affordable gourmet cuisine ranging from West Coast fare to heart-warming, belly-filling comfort food. Ninety per cent of the menu can be prepared gluten-free and the five-star dessert menu is not to be missed. 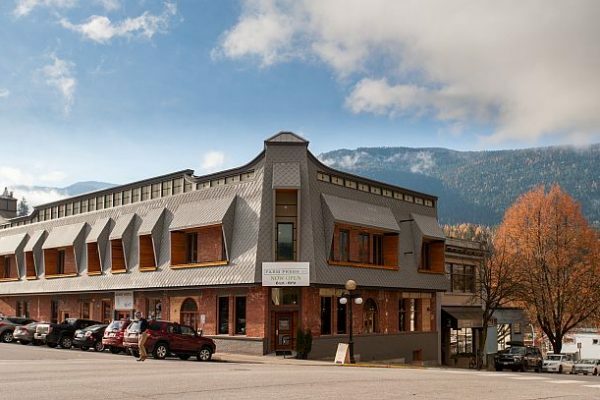 The Savoy Hotel in historic Nelson, BC is your one-stop shop when it comes to good times and great food. Farm Fresh Café offers wholesome, fresh food to go, while The Falls Live Music Lounge and Bloom Nightclub mix sustainable food, local drink and live music in state-of-the-art, beautifully finished venues. Don’t forget to try our delicious local micro-brewed beer made from farm grown hops and barley at The Savoy Brewery. 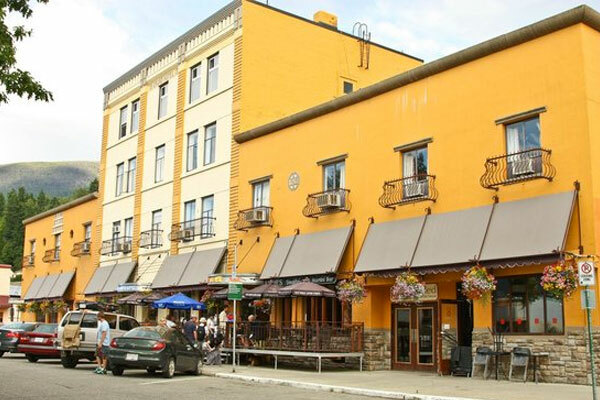 The 12-room boutique Savoy Hotel, features a roof-top patio, common room and close proximity to all of the amazing activities Nelson has to offer. 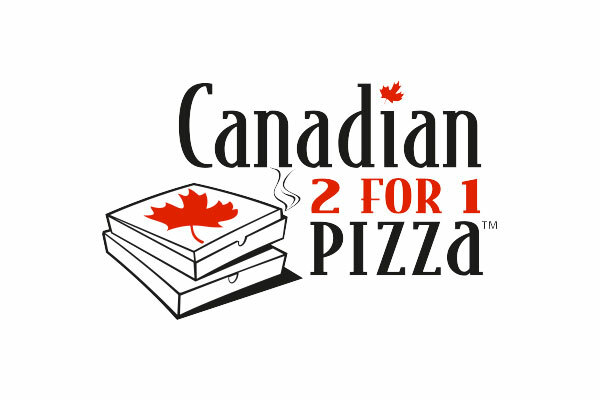 Gourmet Pizza at 2 for 1 Prices. 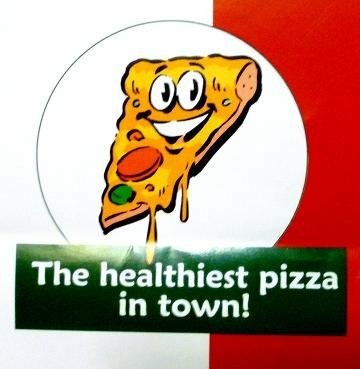 Who says pizza can’t be healthy? 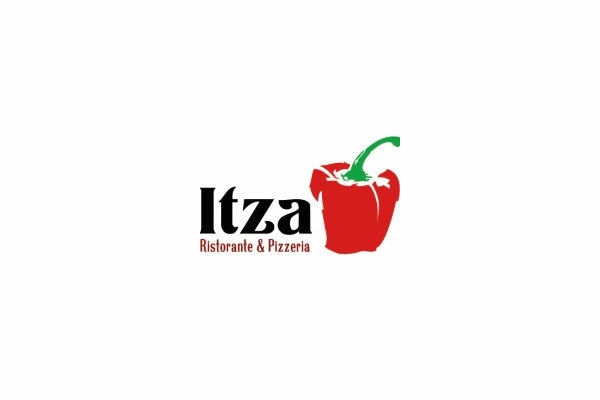 With ingredients like olive oil, whole wheat flour and sauce made from scratch, our pizza is not just healthier than others – it tastes better! Try our pulled pork toasted subs and European-style grilled paninis too. What’s in the Vault? 17 beers on tap, happy hour, big screen TVs and lake view… life. No nonsense. Open everyday from 4pm to 10pm. 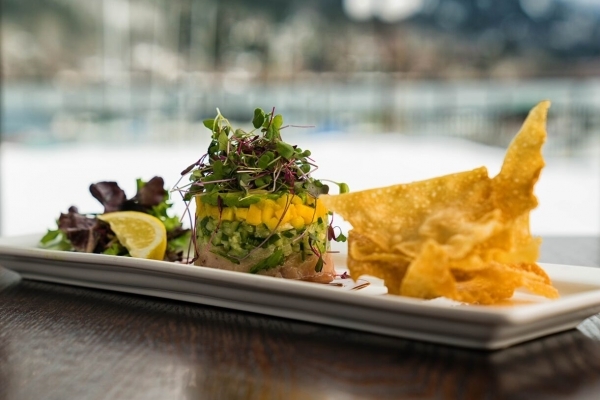 West Coast Grill has the best patio in town, overlooking the lake and marina! Our concept is a West Coast style food with a strong focus on locally sourced ingredients throughout a diverse menu for all ages. Our menu has a variety of gluten free and vegetarian dishes as well. Come visit us, it will be a pleasure to serve you! We have 17 beers on tap, a selection of BC wines and a great Happy Hour. We offer murder mystery dinners for groups! Come down to the lake side of Nelson! June 16th 2019: Master Shucker & Caesar Throwdown (oyster shucker and caesar competition) on the patio. 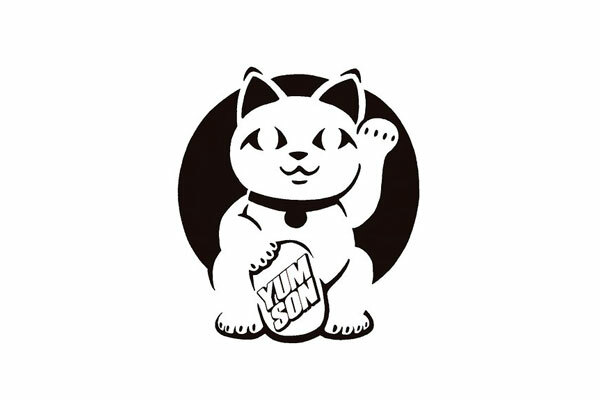 Launched in October 2016, Yum Son is Nelson’s very first Viet-Modern restaurant. Bringing the flavours of Southeast Asia into each of our cocktails and culinary dishes, we strive to find balance in each of our unique creations. All of our meat is hormone & antibiotic free, sustainably raised & provincially sourced. Wherever possible, our veggies are sourced seasonally & locally from farmers and friends. Relax on a private and peaceful 3 acre forested setting, near the pristine Slocan River in Winlaw. Our deluxe vacation rental has an open plan living & kitchen area and sleeps 8. It has 3 bedrooms, a sleeping loft, 2 large full bathrooms and a veranda. It has a large fenced yard with a private brick patio, BBQ, waterfall, fish pond and gardens. The home is complete with excellent kitchen and laundry facilities and free Wi-Fi. It is great for groups and families ! All you need to bring is your groceries. Check out our excellent website! It has slideshows of the home and area, rates, reviews and an availability calendar. Winlaw has: 4 good restaurants, 2 grocery stores, biking trails, live music and a beautiful river to swim in. It’s a great place to find some peace and quiet, and explore nature’s beauty. 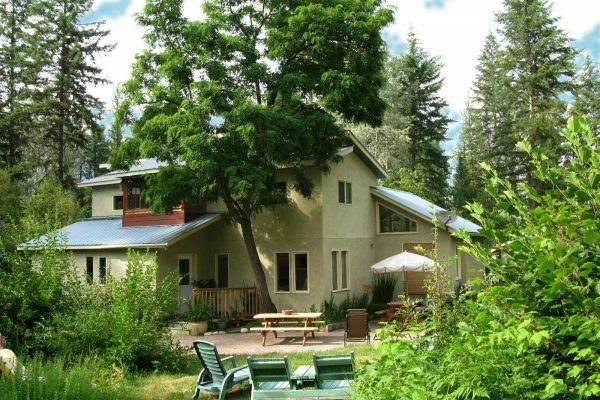 We live on the property and have provided excellent service to our guests, since 2012. You can expect genuine Canadian hospitality and no booking fees. We offer wheelchair accessibility and extra amenities for children and the elderly. Call Pam or David at 1-250-226-7647 to book ahead. We accept: credit cards, cash and e-Transfers. Established in 1898, the Hume is a restored historic, full-service hotel located on the corner of Vernon and Ward Street. All guest rooms have been tastefully renovated and are equipped with modern conveniences while paying homage to our rich history. Inside our walls you can expect to find Aura Spa & Salon, the General Store Family Restaurant, Mike’s Place Pub, the Library Lounge, the Spiritbar, Banquets & Catering and our Liquor Boutique. This full-service hotel features a free full hot made-to-order breakfast for all room guests every morning. In 2017, we put the finishing touches on a 12 year renovation where no two rooms are quite the same. Our greatest asset? Our team of dedicated staff of course. 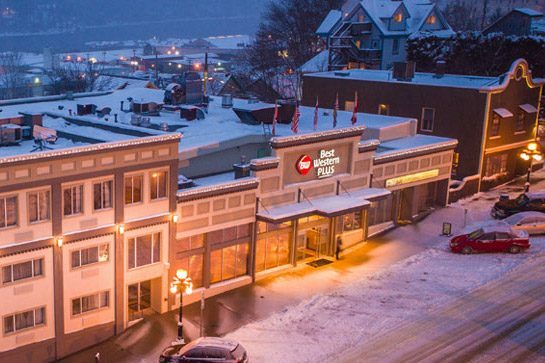 We are Nelson’s unique, character property with something for everyone. You can expect wide hallways, spacious rooms, extraordinary woodwork and that special sense of nostalgia that has defined our town over a century. 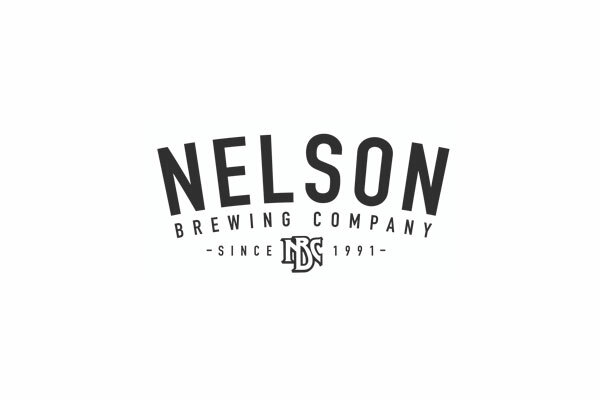 Come and enjoy an authentic taste of Nelson’s hip heritage. The Hume Hotel & Spa – Antique. Chic. Boutique. The Best Western Baker Street Inn & Convention Center is located on the foot of historic Baker Street. Business travelers will be pleased to know that we offer free high speed internet while families should make note that kids stay free. Besides 70 comfortable guest rooms, other amenities include banquet facilities, Jacuzzi suites, hot tub, fitness room, flat screen TVs, microwaves, fridges, guest computer, room service and plenty of parking. Visit our website or call for more detail on the excellent ski and golf packages we have to offer. Recently, we just opened up our new modern Italian restaurant, Marzano. We embarked on a trip to Naples, Italy in 2017. We enrolled in a one week course from one of the most revered, legendary pizzaiolas, Enzo Coccia, to understand the tradition and methods behind preparing the dough and working the forno. The course was rewarding and eye opening as we learned a century-old hand stretching dough techniques and simple authentic recipes. In addition to these well-guarded methods, we discovered the beauty of pure, fresh ingredients. The San Marzano tomato is a cornerstone ingredient that the locals take pride in as it is native only to the rich volcanic soil of the area. We were inspired by this and felt we needed to take the same care in selecting our ingredients, hence the name, Marzano as an homage to quality and authenticity. We welcome you to come check out Nelson’s new restaurant open for breakfast, lunch and dinner 7 days a week. 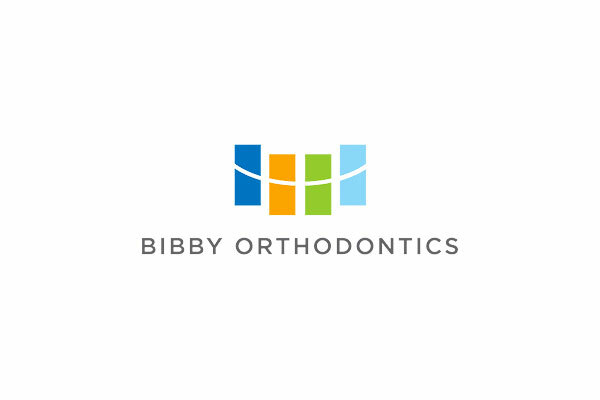 Dr Bibby is a Certified Specialist in Orthodontics, and provides quality care that you can trust. Offering Invisalign, self-ligating braces for all ages, and jaw growth and expansion appliances for children and adolescents. No referral is needed. Orthodontic screening is recommended for all children 7yrs and up. Inspired by Danish design and West Coast lifestyle, August is a concept that merges art and fashion. This Gallery showcases classics revisited, focusing on pieces that reflect the creativity of the individual and a focused philosophy on modern conscious shopping. 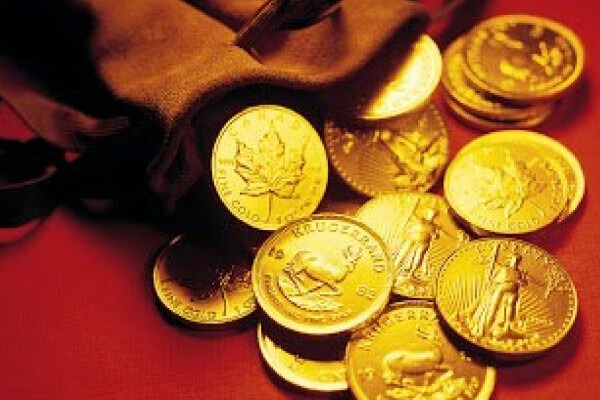 At Kootenay Currency Exchange we offer competitive rates on U.S. and many foreign currencies. For the traveller, we sell U.S. Dollars below the rate of the Bank Heads, and we can set you up with most foreign funds with a day or two notice. 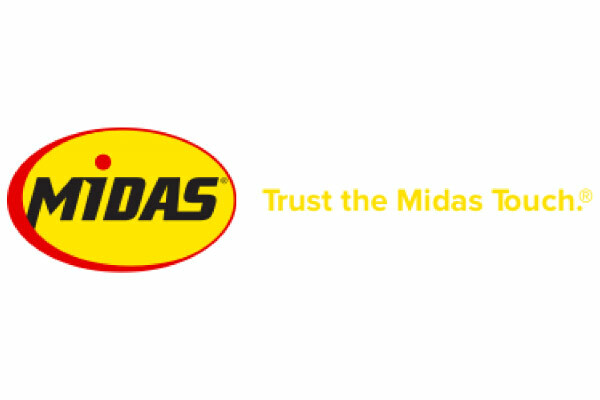 Your local Nelson Midas dealer can serve all of your auto service needs, including complete auto repair service, brakes, oil change, tires and more. Offering a full suite of digital marketing and creative services that elevate your brand and help you stand out from your competitors. 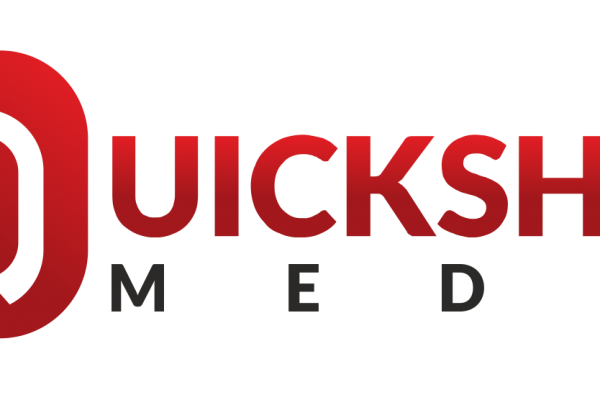 From professional web design and development, to targeted SEO (search engine optimization) to increase your visibility online, manged social media services, the team at QSM is the full service provider for independent business owners. Lear more about our digital marketing services here. We believe in a world where people and businesses in every community lift each other up and become stronger through the power of cooperation, connection, and collaboration. DMY powered by QSM is Nelson’s Community Channel. A social network for the business community, DMY is a digital platform designed for the local business owner offering a solution encompassing advertising, social, web, mobile, print and more. Learn more about DMY powered by QSM here. 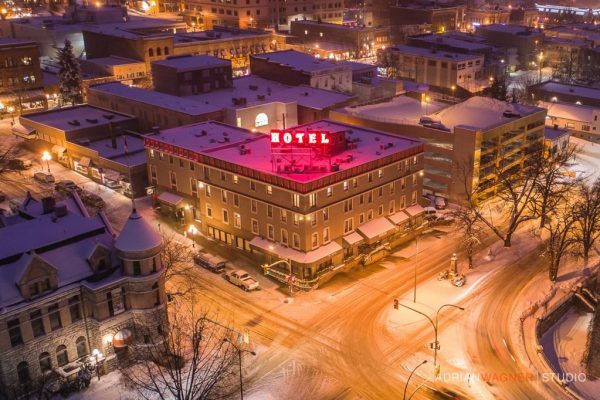 Located in the heart of downtown, The Adventure Hotel brings a modern, euro-style aesthetic to the heritage capital of British Columbia. We’re the perfect base for your next tourism adventure: from zip lining to backcountry touring to a motorcycle tour around Kokanee Glacier. 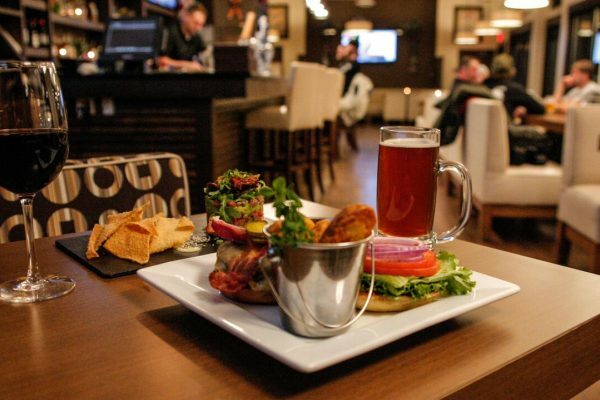 Whether it’s upscale casual dining in Louie’s Steakhouse, catching the game with friends in The Uptown Sportsbar, or a morning pick me up at Empire Coffee, The Adventure Hotel has it all under one roof. Plus, guests have access to our guest lounge, rooftop patio, and infrared sauna. 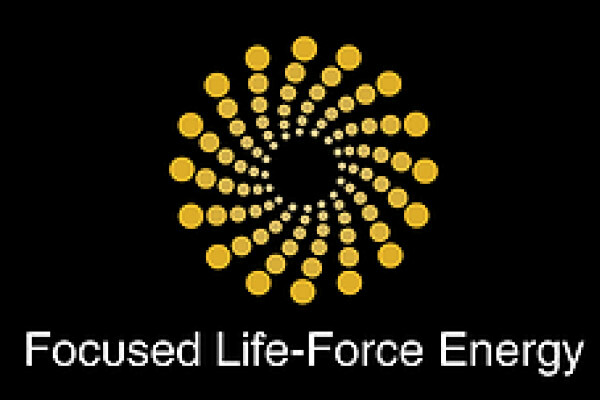 Focused Life Force Energy (FLFE) is a technology that creates a high consciousness field. It recreates the feeling and benefits of high consciousness sacred places. You can enjoy it in your home and business every day, and with FLFE Everywhere you can take the high consciousness field with you as you travel. 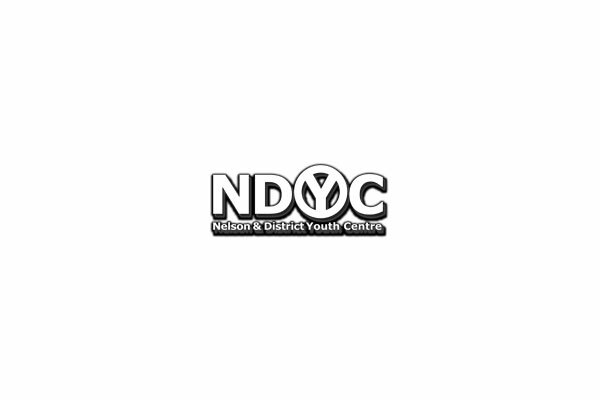 Creating a safe, accepting and empowering community where all youth can interact and access a variety of programs, services and activities they need and enjoy. A fun, safe and accepting youth centre with a variety of recreational activities including ramp sports, lessons and special events. The Youth Employment Resource Centre offers free employment services to youth ages 15-30. 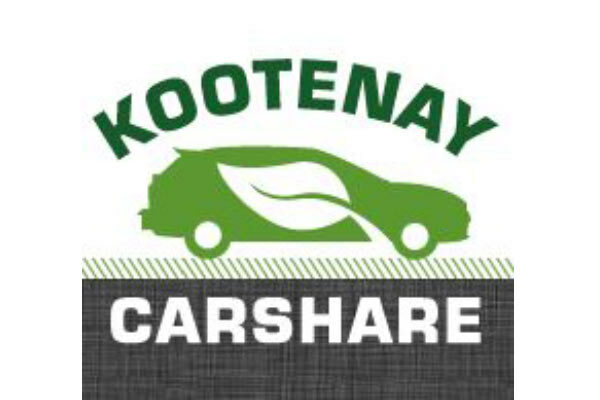 Kootenay Carshare Cooperative provides an alternative to private vehicle ownership. Become a member and have access to cars, trucks and vans that can be booked for as little a 30 minutes to a month! Check out our website today http://www.carsharecoop.ca Members are able to book 11 vehicles in Nelson 3 in Revelstoke, 2 in Kaslo, Kimberley and Fernie. You also have access to vehicles in Vancouver and Victoria. You will no longer have to worry about gas prices, insurance or vehicle maintanance. We have options for low income, individuals and organizations. Want to save money, stress and the environment? Join the Carshare! 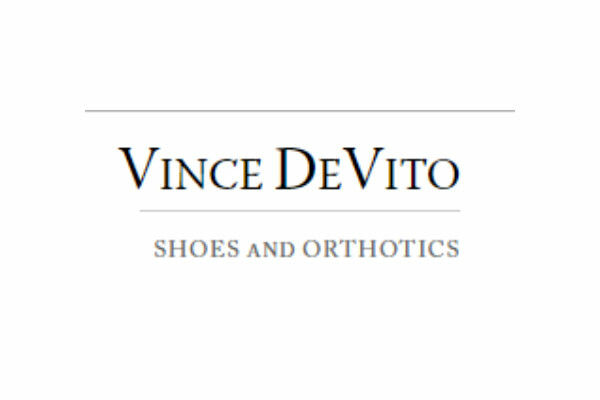 Vince DeVito's Specialty Footwear Ltd.
For the 411 on all your shoe care needs, accessories, professional fitting, full service shoe repair and much more come visit us today at 411 Hall St. in Nelson! We carry several product lines including athletic, casual, formal footwear, sandals and work boots for both men and women. All of our trained staff are knowledgeable about our products. We also specialize in “hard to fit” sizes. We offer a full range of repair services, including (but not limited to) shoes, ladies heels, purses, zippers, hockey equipment, backpacks, jackets, and Birkenstock sandals. Western boot repair is a specialty! Vince provides skilled assessment, custom orthotics, appliances and footwear modification—in the treatment of foot-related complaints—to restore your health and sense of well being. Nelson Box Office & Copy Centre Ltd. Your One Stop Business Service Centre. We provide volume b+w copying,full colour printing, fax,internet,courier and mailboxes. 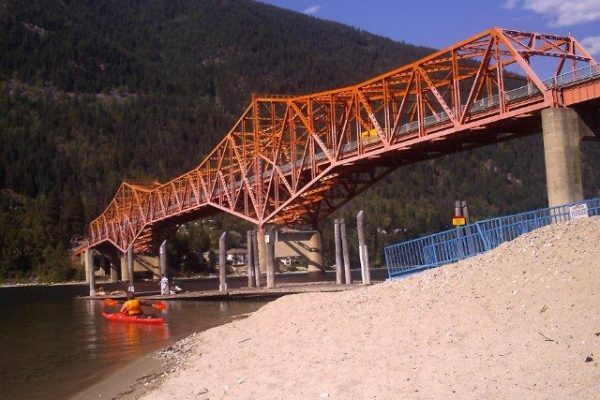 We are also a Custom Picture Framing Business, the most reliable in the West Kootenays! First Home Buyers, Purchases, Refinancing, Debt Consolidation, Renewals. *We work for the largest Mortgage Brokerage in Canada; Dominion Lending Centres giving us access to over 50 lenders including our LOCAL CREDIT UNIONS ensuring you get the best rates and terms available to you. *We are reputable, active citizens in our community. By being long time locals, we have the expertise in knowing where to place your application to get you a fast approval. *We have many years of experience in Real Estate and Finance ensuring your application is properly structured. *We are available outside of regular business hours. There is always someone to talk to for fast advice. *We make the mortgage process easy and stress free ensuring you have a good understanding of all aspects. *We save our clients time and money. We Build Athletic Foundations. 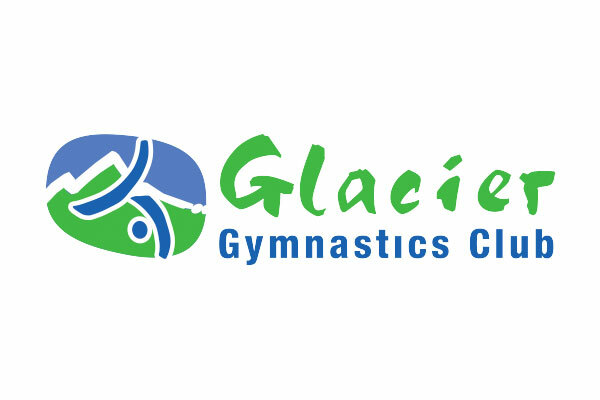 Our mission is to provide opportunities for participation in the sport of gymnastics and related activities at a developmental and provincial level that challenges learning and provides experiences that will foster growth and development of the individual. Our Gymnastics For All programs lead participants through the fundamentals of artistic gymnastics. With programs for kids ages 20 months and up, adult programs and family drop in there is a program for every member of the family. We also do birthday parties! Movies for all ages and tastes in a big old theatre with new digital film and sound equipment. Drop by in the weekend for new releases and blockbusters, pay $7,- on Cheap Tuesdays, or join lovers of independent movies on Thursday night. Check http://www.civictheatre.ca for our weekly screenings or call Nelson\’s Civic Theatre for details and rentals. Support your local movie theatre! 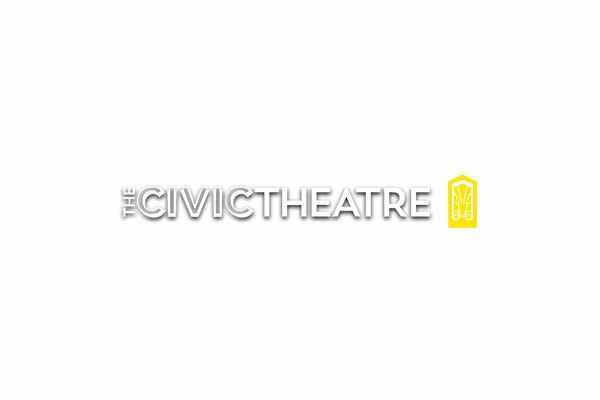 Nelson Civic Theatre is saved by the Nelson Civic Theatre Society and is a non-for-profit community theatre. Mostly run by volunteers it screen films on Thursday, Friday, Saturday, Sunday and Tuesday evenings and Sunday afternoon. In the day-time and Monday and Wednesday night the theatre can be rented for film festivals, presentations and other entertainment. Please call the theatre for info: 250-352-5833. 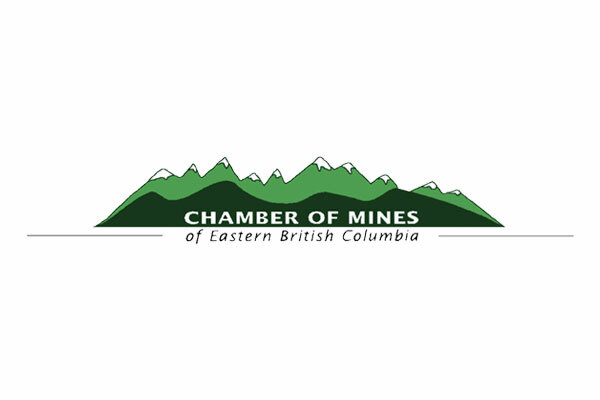 The Chamber of Mines of Eastern British Columbia is a not-for-profit organization providing authentic, reliable information to the general public and the mining industry. Our members include everyone from individual prospectors to large mining and engineering companies. We advocate for the mining industry, especially for prospectors and explorationists, as well as serving as an information and resource library with an extensive collection of geological information, maps, as well as rock and mineral specimens. We host elementary to high school classes as well as providing prospecting and other courses. Our graduates have had great success and are responsible for bringing millions of dollars worth of investments to the Kootenay-Boundary region. 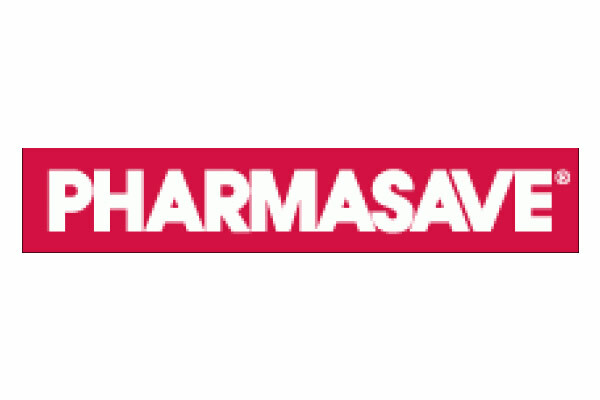 Pharmasave has been helping our customers live well for over 20 years and is the only full service pharmacy in Nelson. Offering departments like Cosmetics and Home Health Care and mobility devices as well as free delivery on prescription medications. 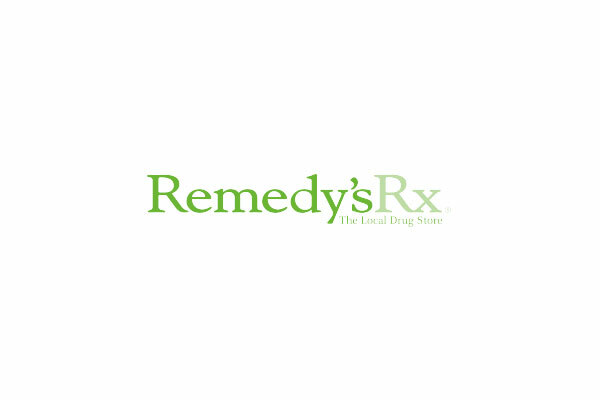 Nelson Remedy\’s Rx is your locally owned and operated unique pharmacy. Not only can you get ALL of your standard prescriptions filled, but we can also custom make them in a variety of forms if you need. We carry quality lines of natural health products and supplements . We look forward to fulfilling all of your healthcare needs!